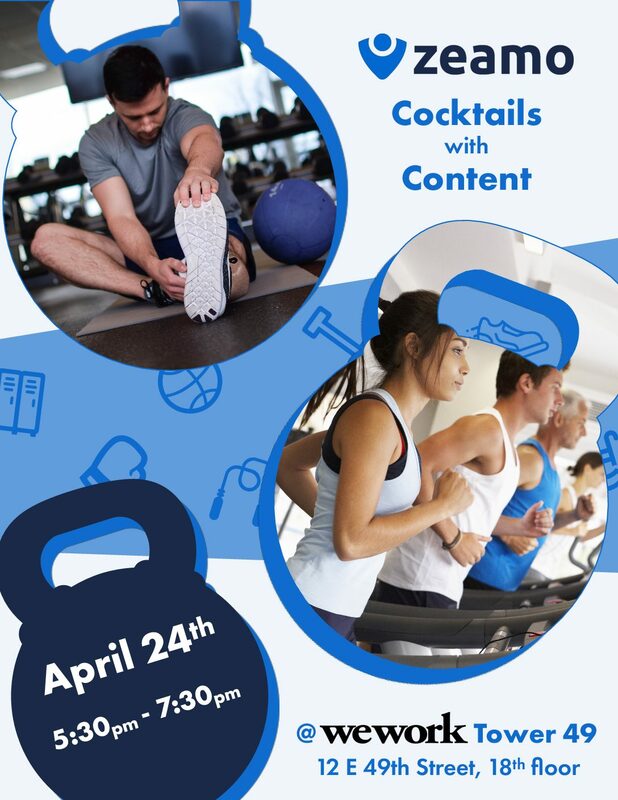 Join us on April 24th for an evening of networking, cocktails, and more information about Zeamo: a truly customizable fitness solution. Take the stress out of fitness planning, and give your employees unlimited access to the hundreds of gyms on Zeamo’s nationwide directory. You’ll be introduced to the plan that makes everyone happy, while sipping on cocktails in the light and airy 18th floor of the WeWork building in Midtown.